Flowers lisianthus, chrysanths, roses, foliage. Arrangement style. 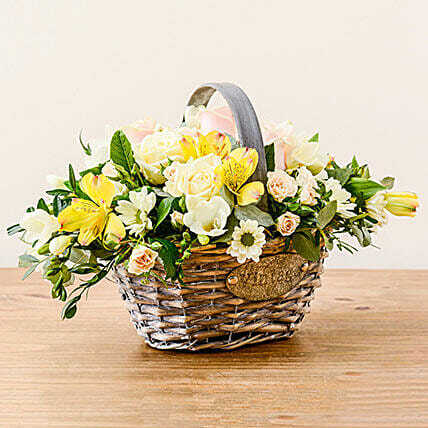 Arrangement in oasis delivered in a basket.